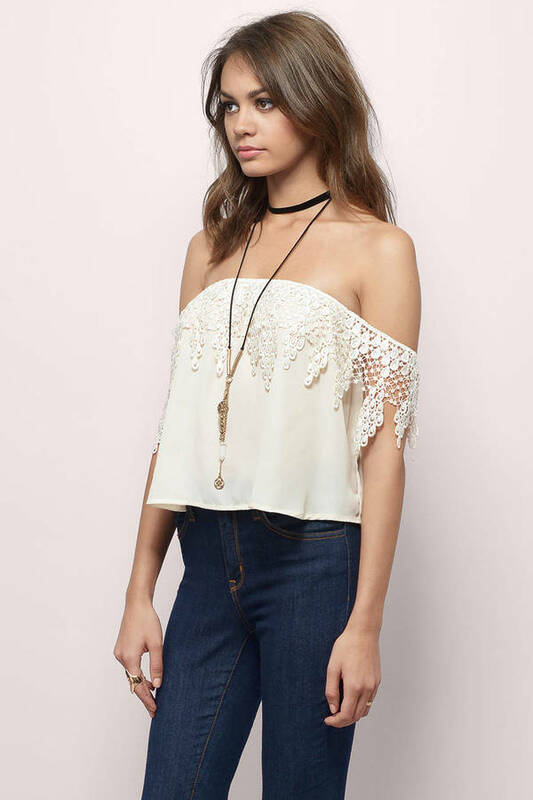 Check out Tobi's Field of Raindrops Crop Top Off the shoulder top with drop crochet lace trim. Wear to your favorite summer festival. 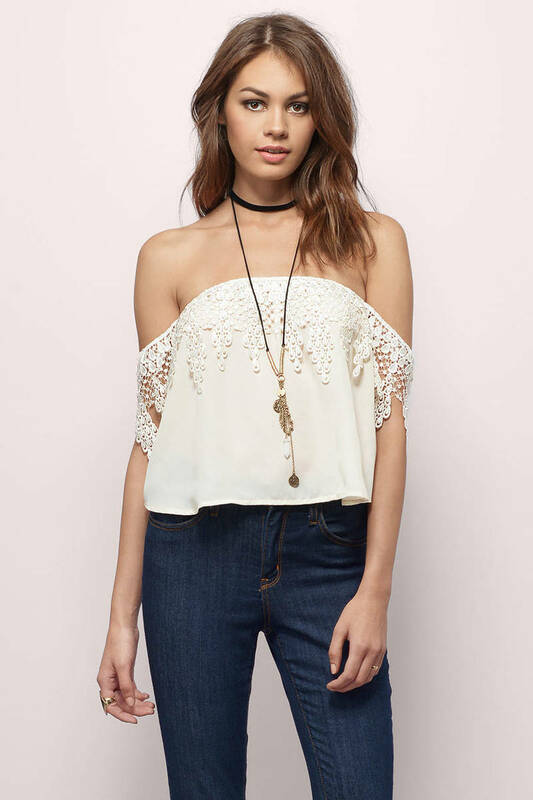 Off the shoulder top with drop crochet lace trim. Wear to your favorite summer festival.